Belmont County’s student artists Saturday. All seven high schools are participating, with 35 entries per school. The students worked in a variety of mediums including drawing painting, photography, 3-D art and sculpture. Community members perused the easels and voted for the Peoples’ Choice. 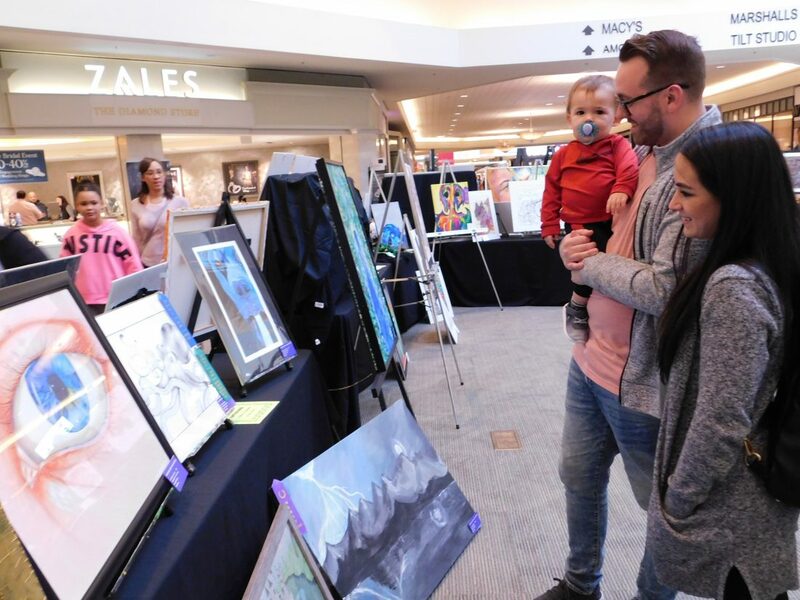 Jessica and Ty Thorngate of Wheeling, holding son Leo Thorngate, take a look at the work of Belmont County’s high school artists at the Ohio Valley Mall on Saturday.